Hope's Cafe: Say It With Socks Review! 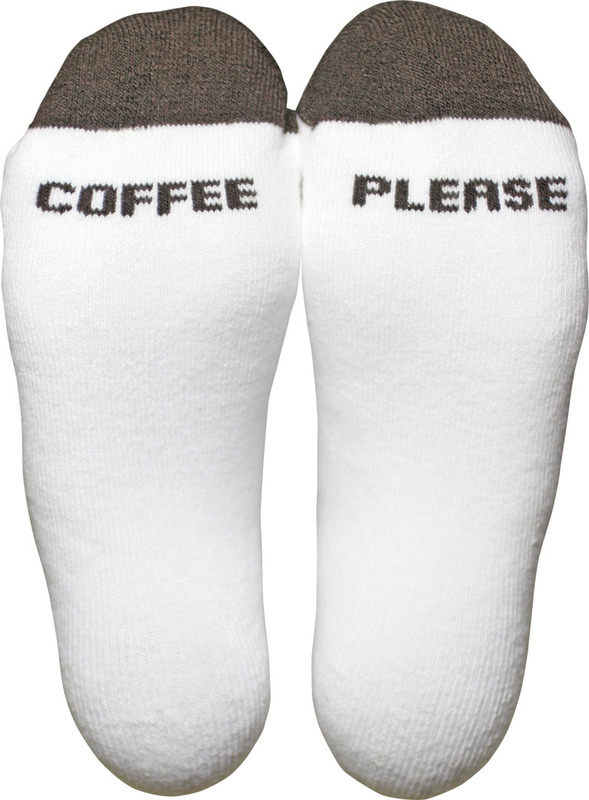 Okay, Here's a really neat company-Say It With Socks! Say It With Socks is-you guessed it-a novelty sock company! They have socks for children, ladies and men. Say It With Socks is the assumed name of Second Child Inc. a corporation based in Texas. I really like the fact that all their socks are made in the USA. And here's a tidbit I thought was neat-former Presidents George W. Bush and George H.W. Bush have worn socks from Say It With Socks! Wow! "Welcome to Say It With Socks. We are pleased to bring you the most unique selection of fun, silly and crazy socks you'll ever put your feet into. We hope that you will find our site fun and easy to shop. Have fun checking out our almost endless selection of fun socks for men, women and children. With a wide selection of fun socks, silly socks and novelty socks for men, women and children to choose from, you are sure to find the perfect phrase here at Say It With Socks. All of our socks are made in the USA from top quality materials to insure that your feet are warm and comfortable. Can't find the right words? Let your feet do the talkin' and Say It With Socks!" 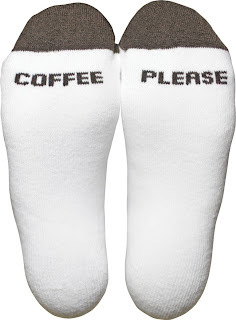 I was sent 2 pairs of socks for review-a pair of the Happy Birthday, and a pair that says"Coffee Please". (What other pair did you think I'd get?!) Let me tell you, these are the most comfortable socks I have ever worn! They are very thick and plush. I like that they are ankle cut style. It's so comfortable for this summer heat. There are 24 phrases available for ladies, as well as several different sayings for men. Some of the infant socks are adorable too. 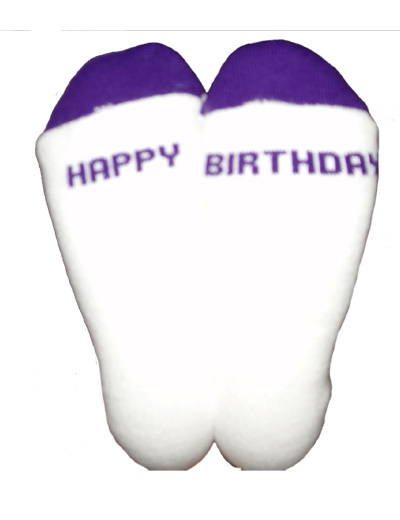 Say It With Socks also offers custom ordering. If you're looking for a cute saying for a family reunion, Church activity or other gathering, you can order a custom phrase in bulk! Or, why not use Say It With Socks for your next school or Church fundraiser? 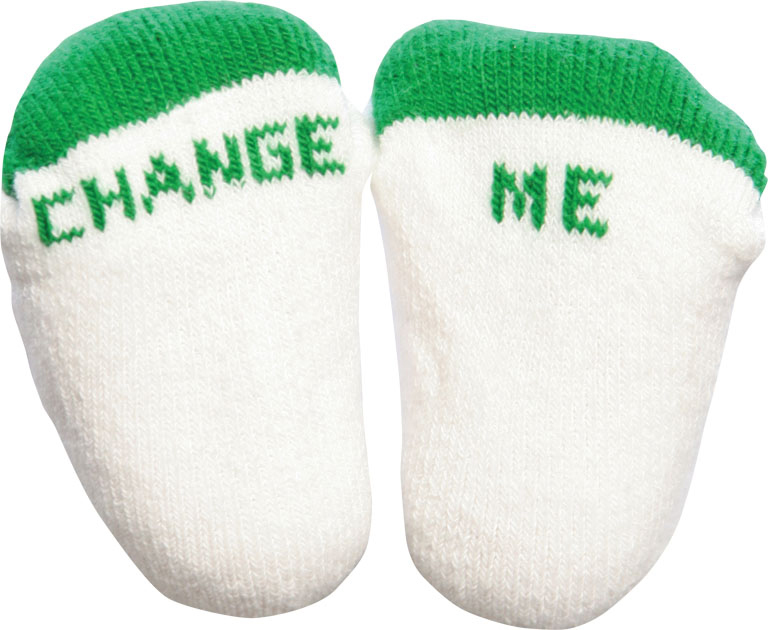 Everyone wears socks, and who wouldn't love a pair with a fun saying on them? "Sell Socks for your next school fundraiser! Everyone needs socks. Say It With Socks are high quality and fun. Take advantage of our new ONLINE fundraiser! Simply complete the online application and we'll assign your school a unique code for use whenever an order is placed. Your school will earn funds for every pair of socks ordered using this code. We'll even send you weekly updates to let you know how you're doing. It doesn't get any easier than that! So, what are you waiting for? Fill out our online application and start earning for your school today!" 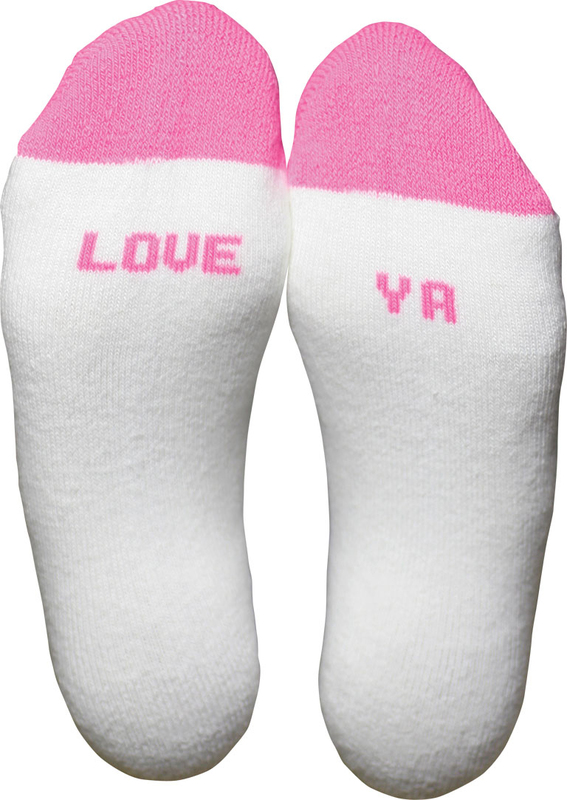 Say It With Socks are available online through the website, or you can find them at retailers like The Sock Gallery and Maternity distributors. Disclaimer:I was not monetarily compensated in any way for this review. I did receive product for the purpose of review. All thoughts and opinions are my own.